Two recent reports have challenged the rhetoric around the importance of STEM skills in the digital economy, by revealing that occupations requiring communication skills are actually growing fastest. Advances in digital technology are changing the world of work. It has been estimated that more than 40% of human workers will be replaced by robots. This probably overstates the scale of displacement, but developments in the fields of artificial intelligence and machine learning will affect all sectors of the economy. However, the impacts of digital disruption will not be evenly distributed. Previous waves of technology had the greatest impacts for workers in routine jobs, but now a growing number of roles may be at risk. Even so, workers whose skills complement but are not substituted for by technology can use the new technology to be more productive and command higher wages. What types of skills will ensure you are employable in the world of human and robot workers? Two recent reports, “The VET Era” and “Growing Opportunities in the Fraser Coast” challenge the rhetoric around the importance of STEM skills in the digital economy, by revealing how demand for skills has changed over time. These analyses show a major shift in the skills profile of the Australian workforce. The Australian Bureau of Statistics (ABS) classifies occupations into skill levels based on the amount of training and experience required to perform the job. In 1986, the largest group of workers was in occupations classified as skill level 4 (roughly equivalent to a certificate II or III). Since then, demand for highly skilled workers has grown rapidly. Nowadays, the largest group of workers is in the highest (skill level 1) category – occupations requiring a bachelor degree or higher qualification. Essentially, increased reliance on technology in the work environment raises demand for more highly skilled workers, because the more routine work is automated. While it is good that more of us are working in more rewarding jobs, not everyone has benefited from this shift. Nor can the current winners in the digital economy afford to be complacent. As the capability of digital technology increases, a growing range of tasks (such as data analysis and diagnosis) can be automated. So what types of skills should we be developing when we invest in the higher qualifications that are now required in most jobs? To answer this question, we linked Australian employment data with United States dataon the skills and abilities associated with different occupations. By linking these datasets, we could estimate (based on the changing occupational composition of the Australian workforce) which skills and abilities were becoming more or less important. For simplicity, we have grouped these skills and abilities into four categories: traditional Science, Technology, Engineering and Maths (STEM) skills, communications skills, technical skills and generic STEM skills. The analyses reveal that, despite all the hype about STEM skills, occupations requiring communication skills are actually growing fastest. 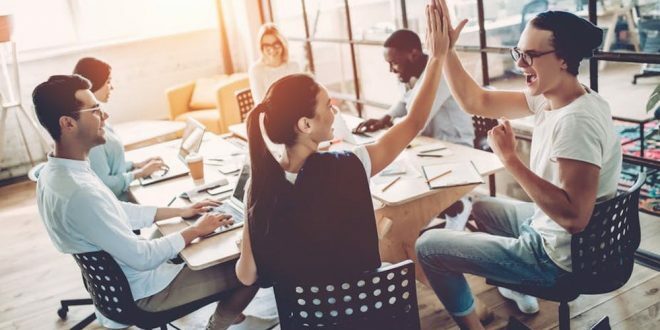 As our work becomes increasingly technologically enabled, human workers differentiate themselves from machine workers through their ability to connect, communicate, understand and build relationships. Most of us now work in the services sector. This is the sector that will continue to grow as the population becomes older and wealthier, as we up-skill and re-skill more often, and as the incidence of mental disorders, chronic diseases and obesity continues to rise. The delivery of these services requires people-focused skills such as active listening, empathy and teamwork. Given that coding is now part of the curriculum for Australian primary school children, it may be surprising to learn that growth in demand for communication skills actually outstrips growth in demand for STEM skills. More detailed analyses provides further insight into the way demand for STEM skills has been evolving. What they reveal is that the STEM skills needed in a wide range of contexts and roles are those that involve working with (rather than programming) technology – skills such as the ability to think critically, analyse systems and interact with computers. More traditional STEM skills (such as physics, mathematics, and programming) have been experiencing relatively low growth. In fact, recent research from the United States found that there has been a slight decline in the number of traditional STEM jobs since 2000. Although traditional STEM skills are important, they are only needed by a relatively small number of highly skilled professionals – perhaps because programming work is itself able to be automated and sent offshore. These STEM professionals also tend to achieve higher incomes if they combine their technical expertise with strong social skills, allowing them to make the connection between technological capability and social needs. While the most skilled coders will continue to have great opportunities, most of us will just need to be able to work with technology. People skills will continue to become more, not less, important. As the capability of technology continues to develop, human workers need to focus on building skills that complement technology. High-level interpersonal and problem-solving skills are not so easily automated. Given that we will need to find new jobs to replace those lost to the robots, we also will need entrepreneurial skills to create and grow the new economic opportunities enabled by these developments. As technological advances occur ever more rapidly, we will need to keep discovering new ways of using technology to perform our work. With strong communication, problem-solving and digital literacy skills, we can harness the power of digital technology to solve a customer’s problem, grow productivity and improve our world. This article was written by Claire Mason, Data61 Senior Social Scientist, CSIRO; Andrew Reeson, Economist, Data61, CSIRO; Todd Sanderson, Research Scientist in Digital Economics, CSIRO. The piece first appeared on The Conversation.